Want to know about the common and popular ways to learn scrapbooking? There’s a few “standard” ways to learn how to scrapbook. Just go through the list below and pick whatever method that appeals most to you, or suit your schedule and lifestyle the best. It’s likely you’ll try out a few of these methods over time. More importantly, it’s for you to know about the options available and start scrapbooking today. Subscribing to scrapbooking magazines is one of the great ways to learn scrapbooking on a low budget. I’ve learned a lot about scrapbooking through reading magazines. Scrapbooking magazines offer a fantastic resource of scrapbooking tips, ideas from top artists, and points out new trends, techniques and more. They even hold different contests and encourage submissions of layouts from readers. With insights from experienced and long-time scrapbooking artists, you’ll get away from each issue inspired and motivated to scrapbook or try out a new idea, tip or technique. Just a gentle reminder, don’t be too caught up with the latest and greatest from these magazines. Everyone works differently. Everyone has different style. Don’t be stressed about how beautiful those layouts in the glossy magazines look, and how you might never achieve such results. That’s not the intention. For me, I’ll go oohs and ahs over gorgeous layouts and try to pick out ideas, layouts, tips and techniques I can use for my next layout. Even if it’s just a simple technique, it’s a 1% improvement for me. My favorite scrapbooking magazine? It’s Creating Keepsakes. When I first started out and didn’t have a clue of what to do. I attended a beginner scrapbooking class at one of the very few local scrapbook stores. I took a 45-minute bus journey to attend the class. Still, it’s a great start for me as the teacher showed me how to group photos, get my hands on a few common scrapbooking techniques, and I get to experiment with some scrapbooking tools and supplies. I walked away from that class with two completed layouts using 7 photos in total. I later gave away these two layouts as part of a birthday present to my good friend. The class was a springboard for me to getting started on scrapbooking. Besides beginner classes, there’s various classes to cater to different skill levels and techniques. These teachers are usually very experienced, enthusiastic and have a wealth of knowledge to spread around. Some of these classes are free. But some classes include course fees and the fees will include the materials and tools needed to complete the project. Simply check out with your local scrapbook stores and see what they have to offer you. Do you wonder half the time what’s going on with layouts you see in magazines? Have you forgotten about techniques someone has shown you? Online scrapbooking classes continue with where scrapbooking magazines and scrapbook store classes end. It’s a perfect alternative especially if you can’t leave home, can’t stand taking classes in a classroom setting, or just enjoy learning in the comfort of your own home. It makes learning scrapbooking easy and private in your own home. With online classes, you can learn scrapbooking techniques in great detail. You can learn about the different aspects of scrapbooking. All these via your computer, tablet, or smartphone. And you have the freedom to watch them whenever you want, and keep repeating on parts you want a revision of. You get to study layouts from great scrapbook artists. You get to print out lessons and follow them to make your next layout. You can find out more about Masterful Scrapbook Design. 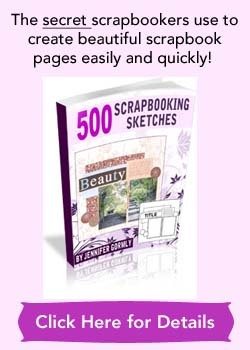 This is one of the most convenient ways to learn scrapbooking. Many local scrapbook stores host regular cropping nights where scrapbookers come in to work on their layouts together. Here’s where you experience a free flow exchange of ideas, tips and techniques. You’ll get to learn from other scrapbookers and see what they are doing. Such events are normally open to all patrons. Many scrapbook stores sponsored such events but some do charge a small fee for it. 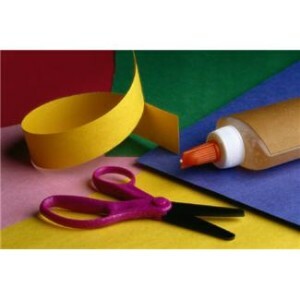 The scrapbook store typically provide some of the tools and supplies. So it’s a good chance for you to play with new tools or supplies before deciding to buy them. And usually the store might be giving discounts on items purchased at the event. Like the idea of joining a scrapbooking club where you get to meet other scrapbookers for a scheduled monthly scrapping session? With both experienced and new scrapbookers in the scrapbook club, you get to learn from the more experienced ones, and you also get to share some of your tips and ideas with the beginners. Each member can take turn to host the monthly session. Here’s where you share supplies, tools, ideas and chat! It can be very fun as you get to see how other members create layouts, and you’ll learn which tool and new supplies are worth spending money on. Plus it offers a great environment to make new friends and build friendships. If you can’t find a scrapbooking club near you, why not start one yourself? Gather 3 to 4 friends and start scrapping away. I’ve heard of how scrapbooking clubs grew and expanded beyond expectations, simply because many were just waiting for such a club to join in. Scrapbooking is about having fun, experimenting, making mistakes and learning from them. You have to start somewhere even if your beginner efforts won’t make perfect pages. That’s how we learn. Redo or even throw away some pages if need be and start over again. As in everything, there’s a learning curve and it’s about making the learning fun and enriching. By practising, you’ll learn which styles and techniques suit you more. By practising, you’ll get to try new things you’ve never tried before. By practising, your scrapbooking will get better and better. My first several scrapbook pages probably look kind of awkward. Still they help to capture down my thoughts, emotions and feelings about those photos on the layouts. And I think that’s more important to my family and friends who see them. Each piece of your scrapbook layout is an extension of you. It’s to show bits and pieces of your special moments in your life and with your loved ones. It shows others what’s important to you and what you choose to highlight on. These are reasons enough to make all your layouts special. So don’t fuss about making perfect pages, rather have more fun scrapbooking. Now that you know some of the ways to learn scrapbooking, what are you waiting for? Take your first step and step into the magical world of scrapbooking! 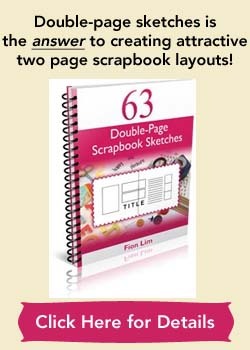 If you’ll like some guide books to help you to a great start in scrapbooking, click here.